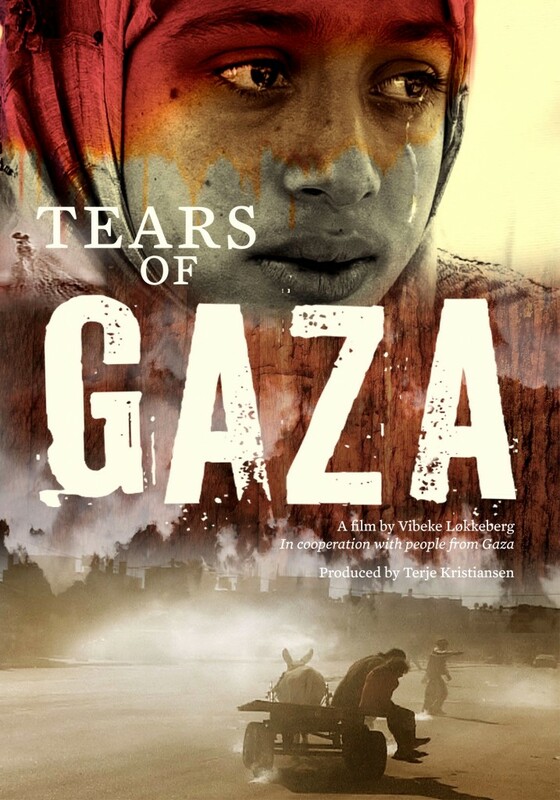 Tears of Gaza by Vibeke Lokkeberg has taken on an unusual documentary-making technique I hadn’t before considered. She was unable to cross the borders into Gaza where its Palestinian people are being bombed incessantly. She hired people who were on the inside to interview and gather footage on camera, telling them by iPhone what she wanted to collect. What has happened in recent events in Gaza, a Palestinian city southwest of Jerusalem, truly is a demonstration of casualties of war with young defenseless people being helplessly slaughtered. Read review: click here. 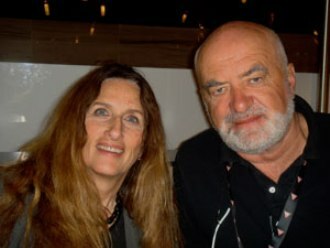 Vibeke, accompanied by her husband, is a Norwegian filmmaker and former actress. 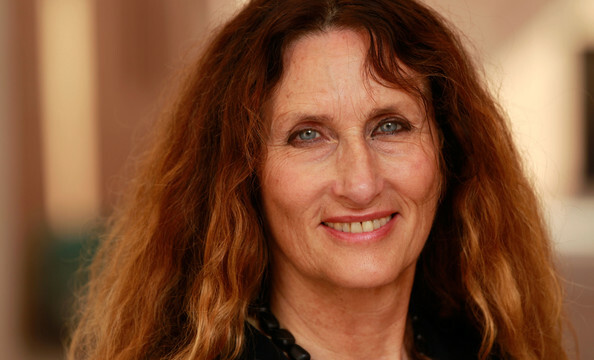 She was in Los Angeles recently, and sat down with me one-on-one to explain how she got her film made, but more importantly, why she had to do it. Gaza seemed like a depressed region before it was bombed in the first place, was it not? Vibeke: It is. It is like a jail, you can’t get out. We’re talking about large families that would have a hard time migrating, bombing or no bombing? Vibeke: That’s right. They cannot get out. They have no state. If they manage to get out they wouldn’t be able to get back because they have no state. Where would they go anyway? Vibeke: People are afraid of becoming refugees and migraters. Terrible fears they will never be received back. Families will be torn. 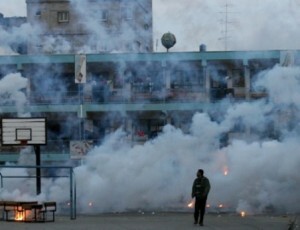 In Syria now, the Palestinians are in refugee camp. They cannot go to Lebanon. They can stay 15 days, then they have to go back. They also get cancer from the weapons fired, the unclean water, the tainted food. What drove you to want to pursue the project? Did you ever think about stopping? Vibeke: I never had any thought of stopping. Forces wanted to stop me. You are not helped by any organization to make a movie like this. Vibeke: My husband Terje Kristiansen came with me. Two people helping each other. You flew in with camera equipment? Vibeke: You crazy? You don’t get in there. The first thing when you go to the military, and ask for permission to enter a place like Gaza. Never. Never. We had to go through the desert for six hours, but there were bombings. They were bombing with F-16 over the border of Egypt onto Gaza. How did you finally breakthrough? Vibeke: Contacts with professionals I knew. My interests to make everyday life of women and children in bombed houses in Gaza. How did children get access to the video cameras to film for you? Vibeke: No. There are firms making movies, they had the equipment. People in the West never buy these images. You never see them. I told them how to film them, make them. Be inside with the people, so you develop an identification with the people. Did the children know why they were participating? Vibeke: You can hear they are very intelligent. They said to me they didn’t want to participate at first because we are all the time dealing with journalists running up in our face, asking some quick question, then run out again. Never doing anything for them. They wanted to participate where they could really tell their stories. How did you manage to get images of the wounded from all the hospitals? Vibeke: We had contacts down there because we had two Norwegian doctors who were at the hospital and they transmitted messages so we could see how people were suffering. Pictures from their iPhones. We were rather shocked because all the international journalists were locked out. Before the war, they were swept out. Nobody buys these film bytes and news feed is the implication? Vibeke: People don’t want footage filled with real death. Do you have an opinion on the large syndicate media outlets? Vibeke: Political interests and ideology is what everything is driven by. There’s nothing to economically gain by reporting on the war between Gaza and Palestine? Vibeke: Yes, that’s why they close the border. Like Iraq, we saw the war beyond the border. Nobody wants you to see the truth from the inside.